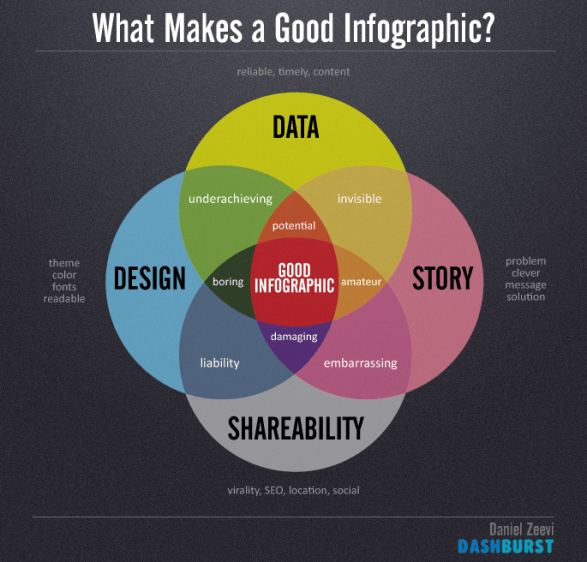 What Makes a Good Infographic? infographic by DashBurst. Today we will continue our study of infographics. Check out some infographics from around the web on Infographicaday. With the rest of class you can, individually, present me research topics and any resources you have found, and start designing your own infographic. Tags: infographics. Bookmark the permalink.